When Thomas Edison patented the first commercially successful light bulb in the late 1800s, he could not have foreseen the lifestyle revolution that would followor its eventual excesses. 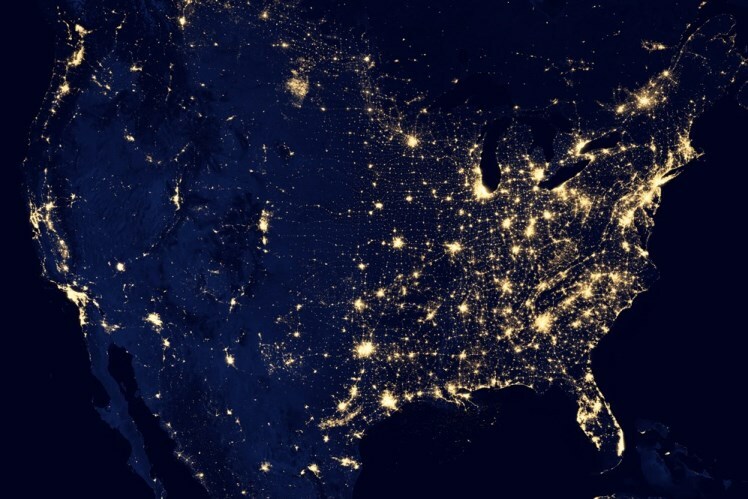 Today, humans have over-lit their indoor and outdoor environments to the extent that two-thirds of the U.S. population and one-fifth of the world's people can no longer look up at night and see the glowing band of the Milky Way, our home galaxy. 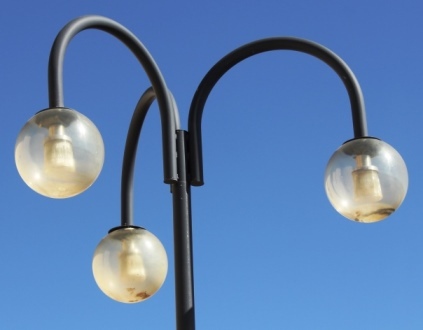 Much of this over-lighting is the result of using bad lights, that is, poorly designed, inefficient, obsolete, or inappropriately installed fixtures. Learning to recognize a bad light is the first meaningful step any of us can take in addressing light pollution and its impact on the New Mexico landscape. Most problem lights are unshielded, a poor design where all or part of the bulb (also called the "lamp") is visible. Instead of only directing light toward the ground where it's needed for safety and security, unshielded fixtures allow light to stray in other directions. 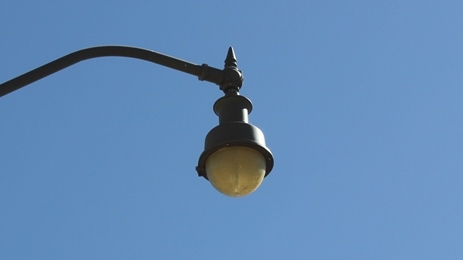 In contrast, fully shielded lights, also known as "full-cutoff lights" or "FCO lights," are the gold standard for night-sky-friendly light fixtures. See our Good Lighting page for details. Once you begin looking at outdoor lighting fixtures at night, it becomes quite easy to recognize whether they're unshielded or shielded. 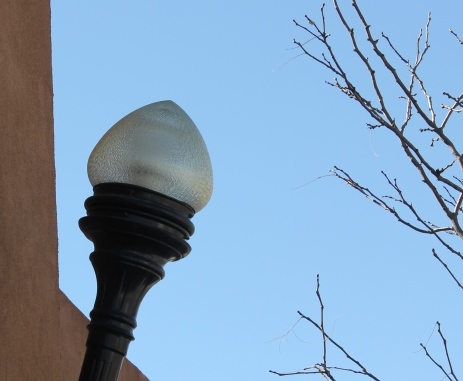 Fortunately, the provisions of New Mexico's Night Sky Protection Act of 1999 (NSPA) have ensured that most new and replacement streetlights and parking lot lights are fully shielded. However, thousands of unshielded streetlights and parking lot lights installed prior to the enactment of the NSPA were grandfathered in and continue to contribute to light pollution throughout our state. 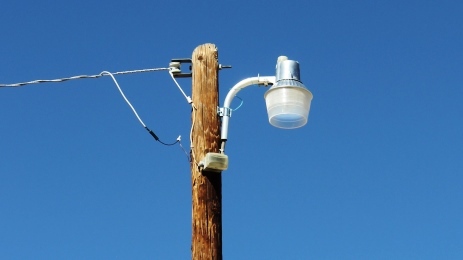 Commonly known as "barnyard lights," these fixtures can be found in both rural and urban settings in New Mexico. Night-sky advocates call them "glare bombs." In addition to being unshielded, they contain a photocell that is sensitive to light, so they switch on around sunset and don't turn off until dawn. To make matters worse, many contain metal halide or mercury vapor lampsolder, energy-wasting bulbs. Fixtures pointed upward to illuminate signs, billboards, flags, and even trees direct all their light in precisely the wrong direction and contribute to sky glow. In addition, they disrupt the nocturnal activities of birds, bats, moths, and other airborne or tree-dwelling wildlife. Bad wall packs with no shielding dot the commercial and municipal landscape in New Mexico. Perplexingly, they're often found mounted on big box stores and shopping centers outfitted with otherwise good, night-sky-friendly lighting like fully shielded parking lot lights. 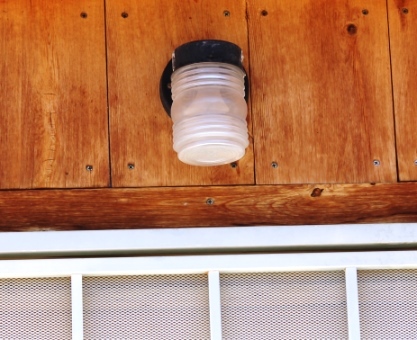 ♦ Unshielded porch lights Nearly every residence in New Mexico has a porch light at every exterior door. Unfortunately, many are unshielded. 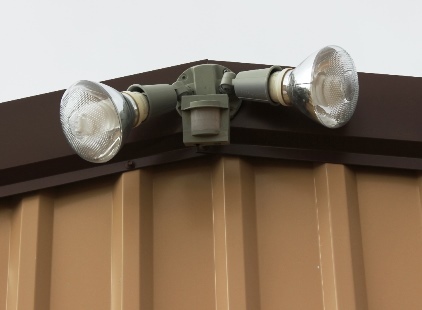 Not only do they contribute to light pollution, the glare from these fixtures may decrease security around people's homes, the opposite of their intent. Single and double floodlights are commonly mounted on garages and houses to light driveways and yards. 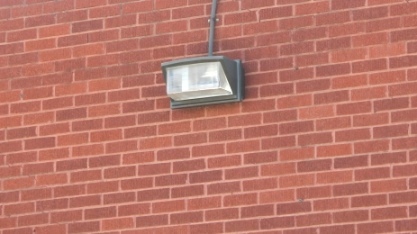 A typical floodlight creates glare and light trespass, so this fixture is neither driver-friendly nor neighbor-friendly. However, the blinding effect can be mitigated with the use of either a motion sensor or attachable shields, or both. 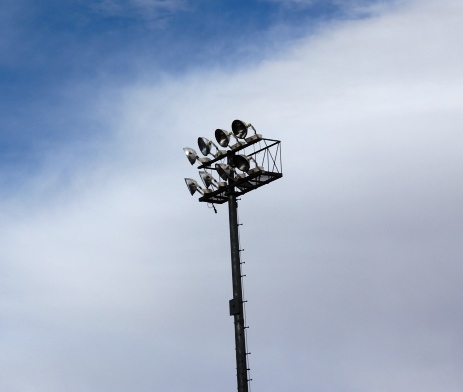 Some of the worst floodlights in the landscape are found at athletic fields. Large, high, super-bright, and poorly aimed, they light up far more than the field, impacting surrounding neighborhoods and roadways. Fortunately, they are usually turned off after a game ends. Whether you think they're charming or ugly, these period fixtures are an extreme example of "unshielded." This design guarantees that light goes in every direction: up to the sky and out to the sides, as well as down on the ground. They can be found in nearly every community in New Mexico, on both residential and commercial properties, with either clear or translucent globes. Canopy lighting design is based on one concept, whether true or not: brightly lit pumps look safer and attract more drivers. 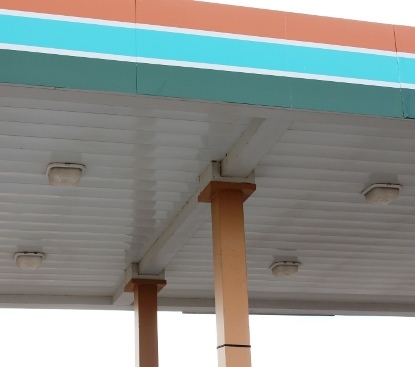 Since canopy lamps are so bright, "drop-lens" designs where the fixture hangs down below the canopy create excessive glare that can impact passing motorists, nearby residents, and station customers. Unfortunately, this overkill approach to pump area lighting is all too common. Improved designs featuring recessed or flush-mounted lamps can cut the glare while still delivering the desired level of illumination.